Chris Stapleton’s eagerly anticipated second installment of 2017 doesn’t disappoint. The album kicks off with a version of Kevin Welch’s Millionaire with Stapleton’s relaxed, languid style and Morgane Stapleton providing superb complimentary vocals. The first of seven original numbers, Hard Livin’ sees Stapleton in a country rock mood with vocals a bit reminiscent of the Texan Paul Cauthen. Scarecrow in the Garden is a flowing country ballad and Nobody’s Lonely Tonight sees Stapleton’s music crossing musical boundaries. His uninhibited, passionate vocals and blues guitar stray into the Boz Scaggs/Duane Allman territory of Loan Me a Dime. The country singer’s obsession with getting stoned raises its head with the melodic Tryin’ to Untangle My Mind and A Simple Song is what it says, a lilting melody and vocals/guitar sounding like Thad Beckman of Portland. Friendship rounds the album off nicely, a potential singalong number, hopefully at a UK gig near you sometime soon. Whilst not quite matching the dizzy heights of his masterpiece The Traveller this is a new addition worthy of Stapleton’s fearsome reputation. 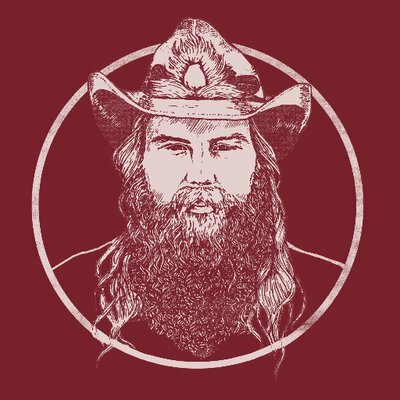 Albeit short in time at 33 minutes long, it’s high in quality and the perfect cocktail of country and blues which has Stapleton at the vanguard of country.